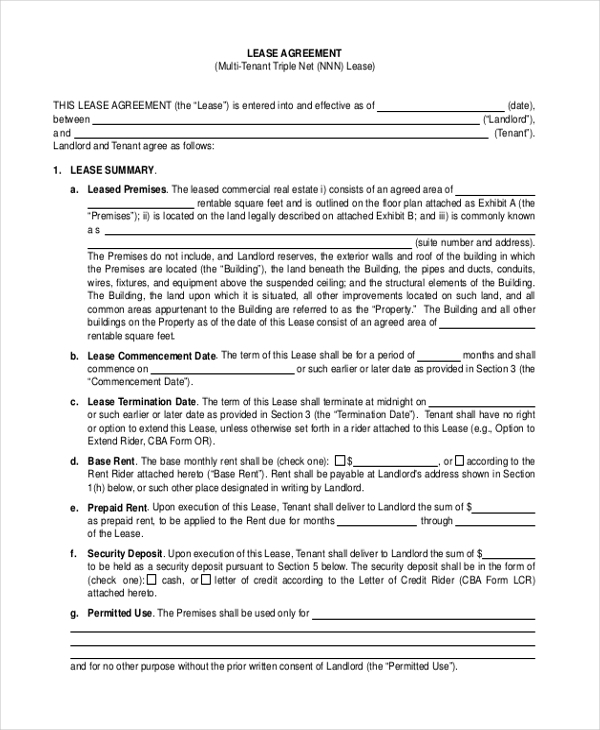 A lease form is a sort of legal document that is used by two parties to enter an agreement when one party agrees to offer a lease on a certain property to the other. The form comprises of various segments where the details of the two parties should be entered. Also, the terms of the agreement are included in the lease form. 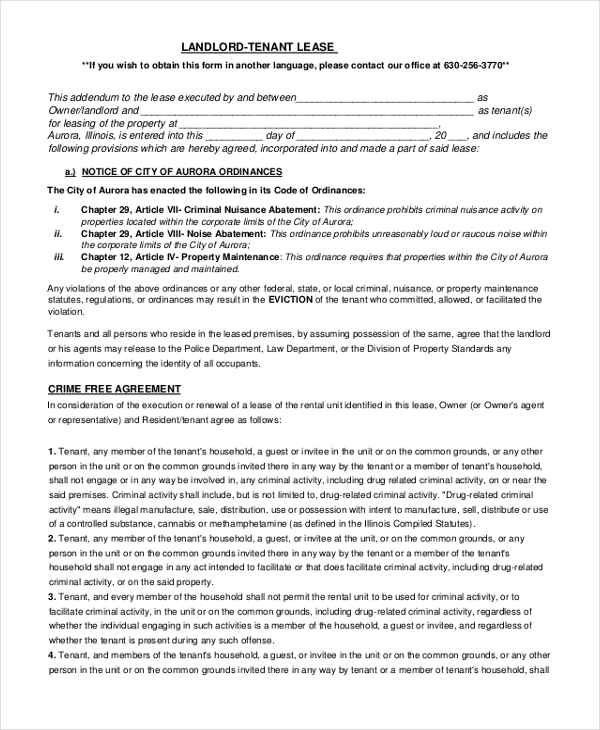 Once both the parties sign this form and get it attested, the form becomes a legal document. 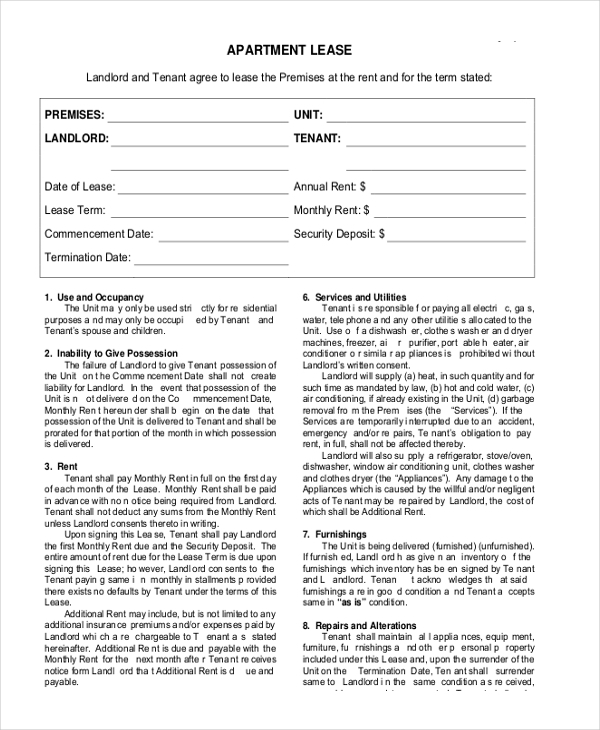 When a party agrees to lease out an apartment to another party for a fixed period of time, an apartment lease form is used. The form is filled with the details of the parties and the terms of the lease. 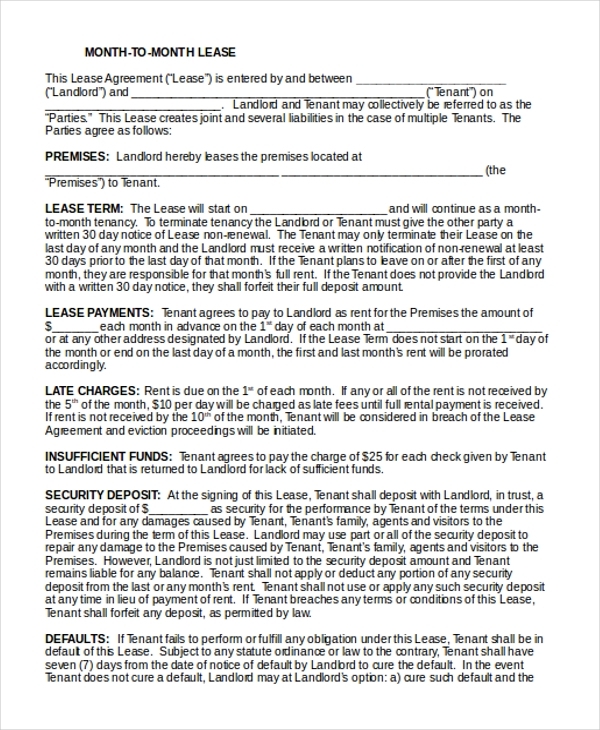 This is a sample of how a lease form should look. It comprises of all the important segments that should be included in a lease form. Anyone can use this form by making required changes to it. 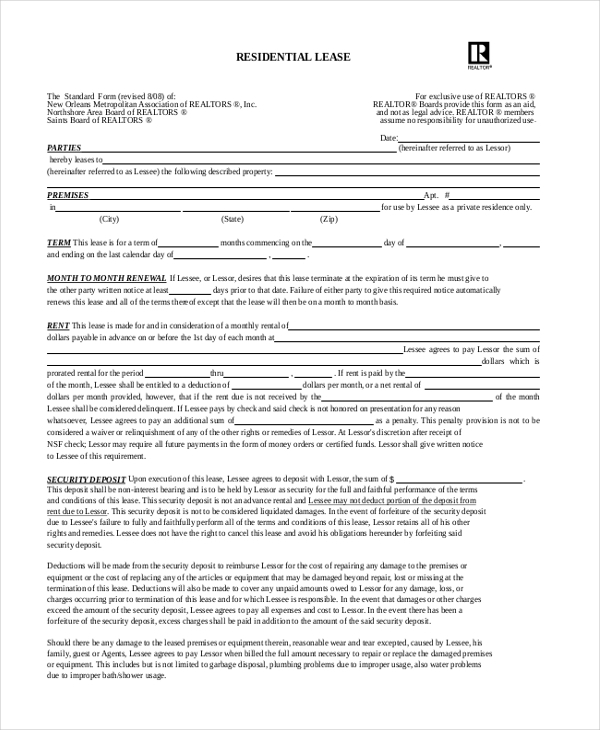 This lease form is used by a business premise owner to lease out the premises as well as the equipment to another person. The form outlines the terms of the lease which are decided by mutual consent of the parties. Any person who agrees to lease out his commercial property to another party uses a commercial lease form to fill in all the important information like details of the parties, terms of lease, amount agreed upon etc. Whenever a person agrees to lease out certain equipment to a party, they get into a legal agreement by using an equipment lease form. They need to fill in their details as well as the regulations that both the parties need to adhere to. As the name suggests, this form is used by a person to get into an agreement with a party whom he is willing to lease out his farm to. The form may be filled in by the parties concerned or a real estate agent and comprises of the lease terms. 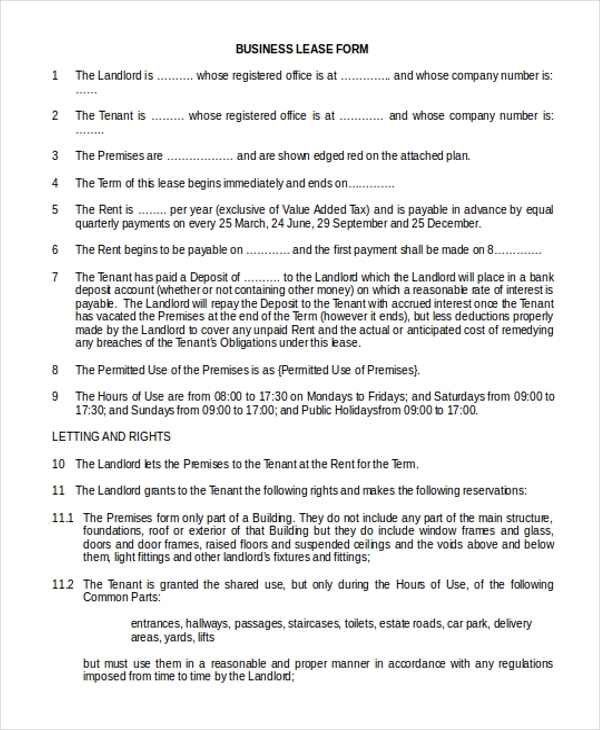 This is the sample format of a lease form which has the basic terms spelled out in typical legal jargon. The user can use this form just as it is or can make necessary changes to it. 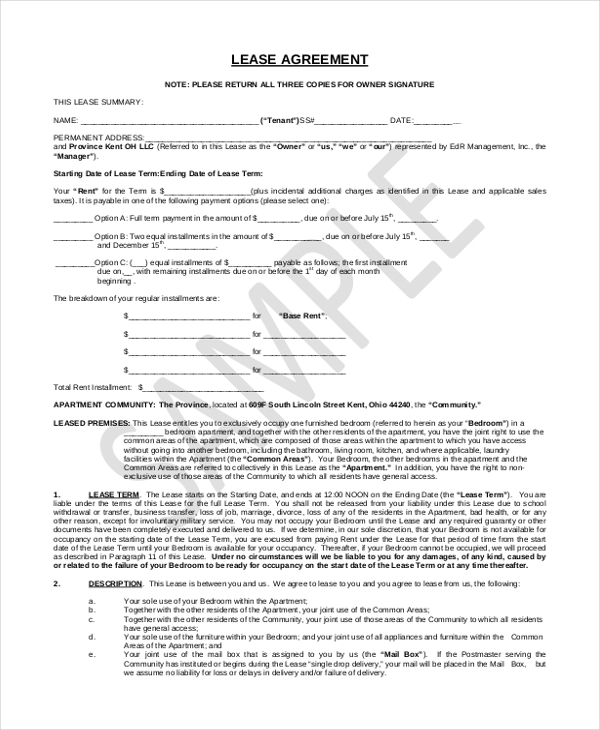 This form is usually used by real estate agents to help a house owner to lease out his house to another party. The real estate agent pens down the details of the two parties and states the terms of the lease in this form. As the name indicates, this form is used by a landlord to lease out his property to a party for a certain period of time. The terms of the lease that are agreed upon by the two parties form the basic framework of this form. 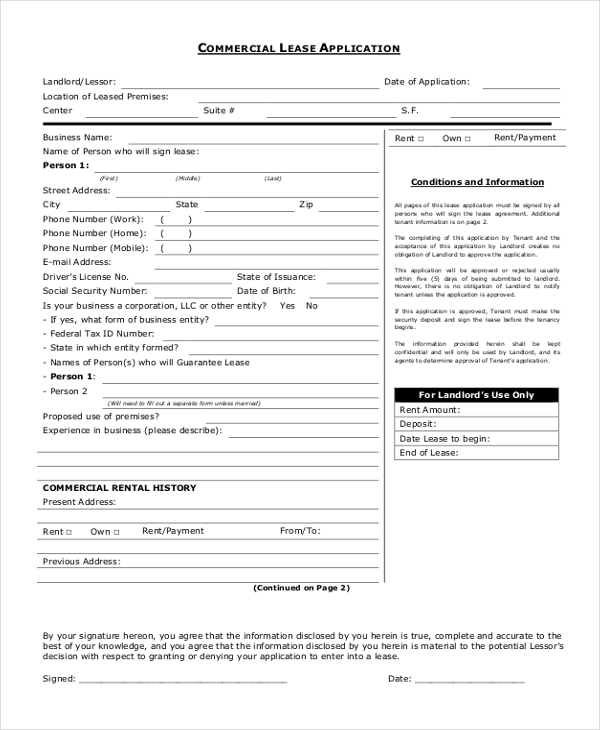 This form is used when a person is willing to lease out his office premises to a business organization for a destined period of time. The parties are required to fill in the form with their details and sign it after going through the terms. 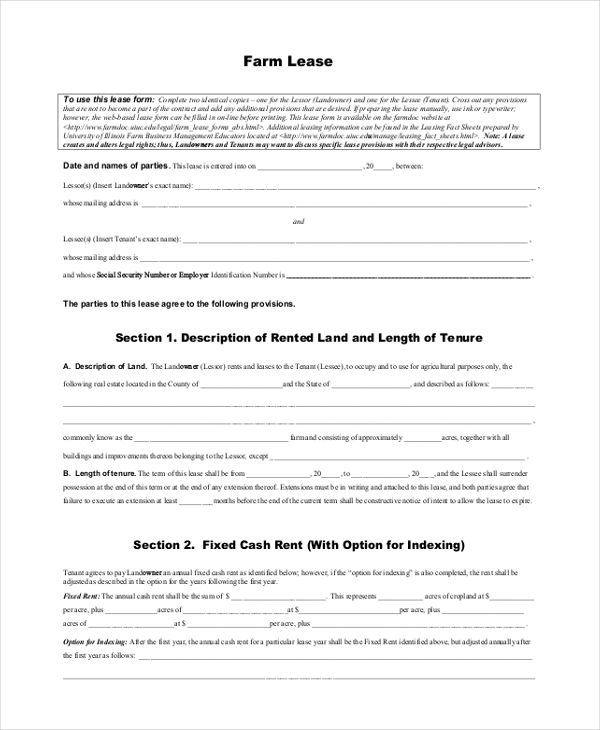 A real estate agent who may have been instrumental in a rental lease deal uses this form to help the two parties to get into a rental contract. He lists the terms that the parties need to adhere to in the form. 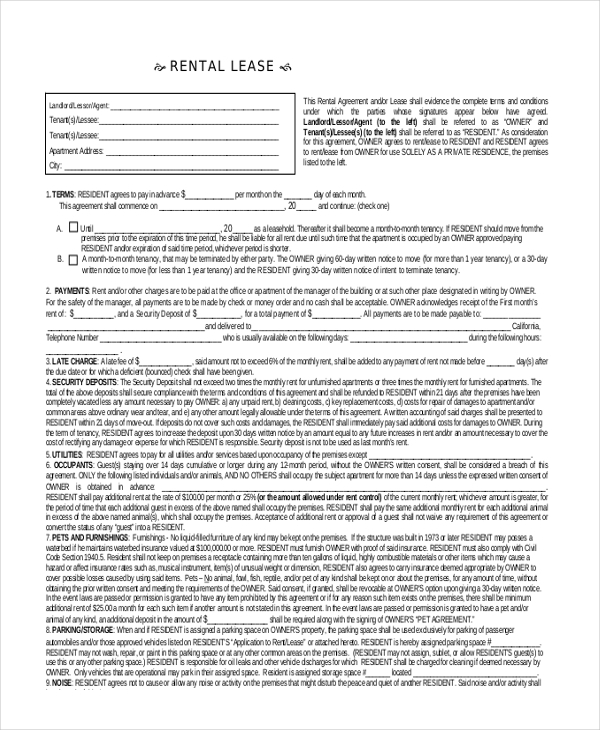 Whenever an organization decides to lease a real estate property for its business needs, it uses this lease form to get into an agreement with the property owner. With predefined terms in place, there are hardly any chances of confusion. 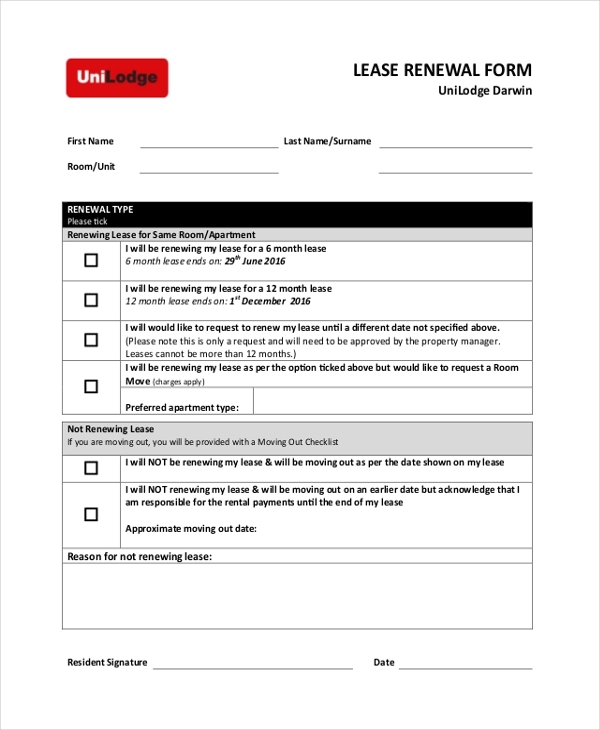 This is a standard format of a lease form that gives the user a fair idea of how a lease form should look. Comprising of all the important segments that should be part of such a form, this form can be used by any user. This form is generally used by a tenant to get into a tenancy agreement with a landlord of a property. The two parties are required to fill in their personal details and sign the form if they are convinced of the terms. 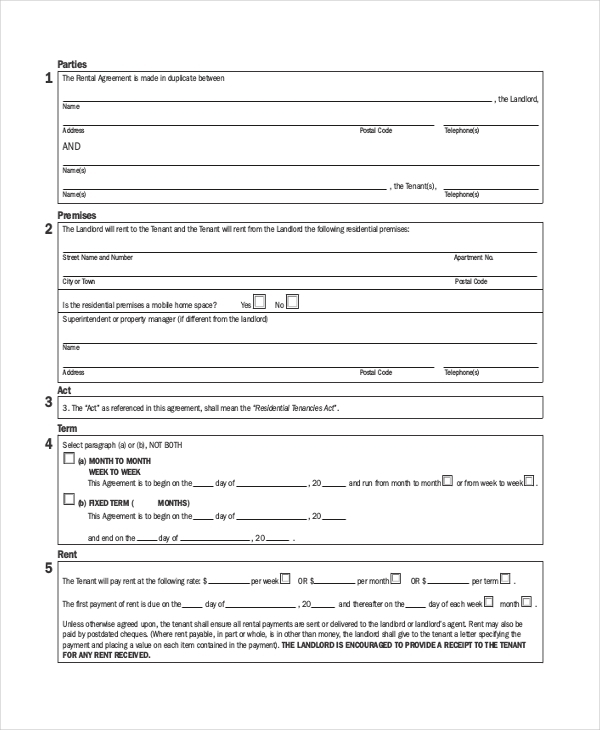 Used by vehicle rental agencies, this form allows them to get into an agreement with a person who may be interested in leasing out one of their vehicles. The lease form comprises of various regulations that both the parties need to adhere to. 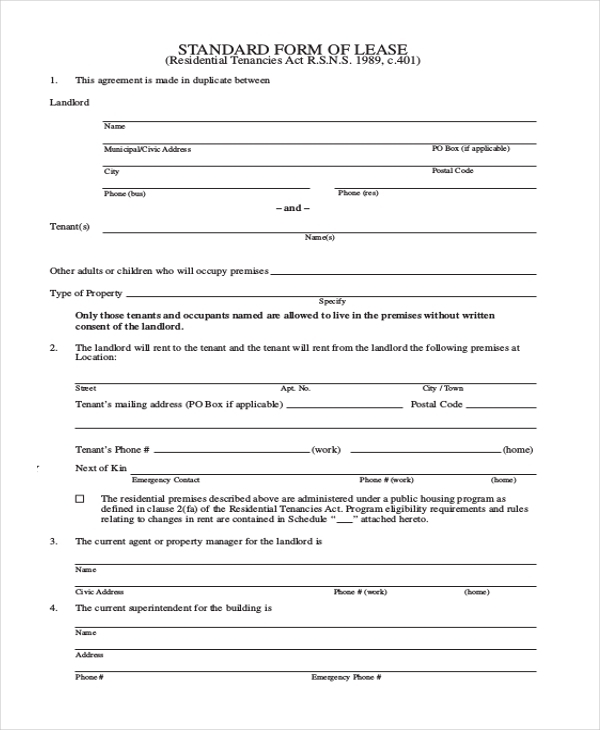 This form can be used by any person or organization that may be willing to lease out or get on lease a property for a certain amount of time. 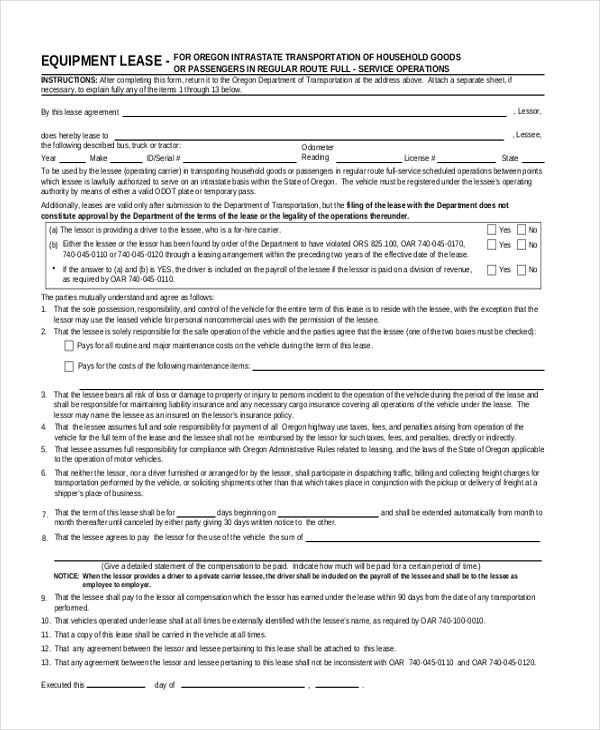 By signing this form, both the parties are legally bound to follow the lease terms. A person, who may be willing to lease out his residential property to a party uses a residential lease form to get into a legal agreement. The form comprises of certain terms that are designated by the mutual consent of the parties. 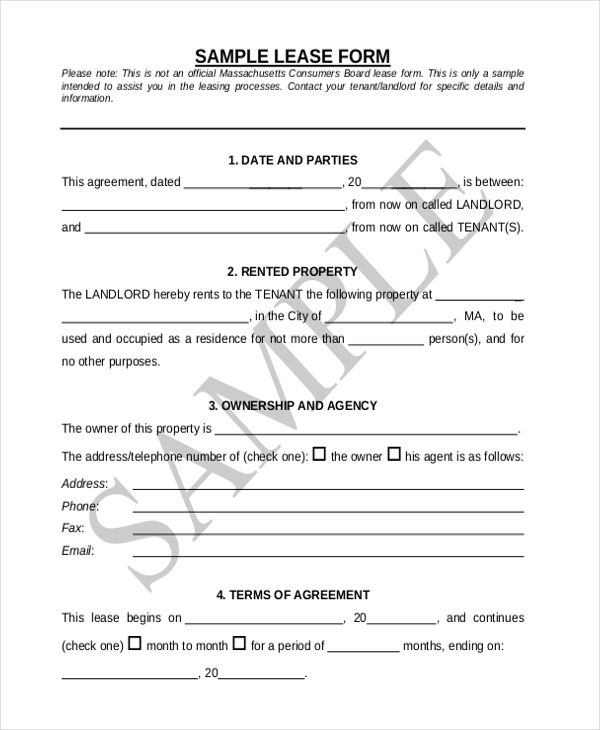 This form is used when a property owner leases out a property for a month at a time. This form elaborates of the terms and regulations that the leasing party needs to adhere to, in order to continue with the lease transaction. When various parts of a property are leased out to different tenants, a triple net lease form comes into play. This form gives a clear picture of which part has been leased to which party and on what terms. 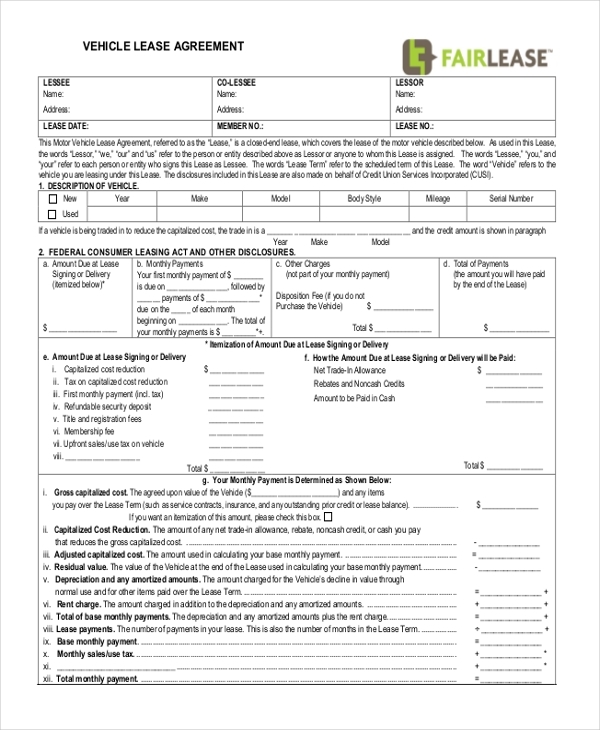 Any person who wishes to renew the lease on a particular property can use this form to request the renewal of the lease agreement. The person could propose certain changes to the lease terms in this form. 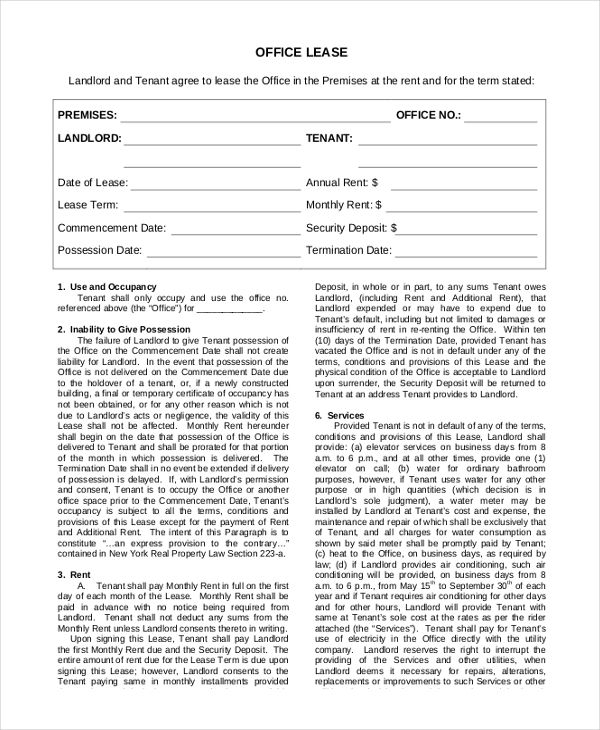 Lease forms are used by people who may be involved in the process of leasing their property or securing a lease on a property. It may also be used by people who play a part in making this transaction happen. 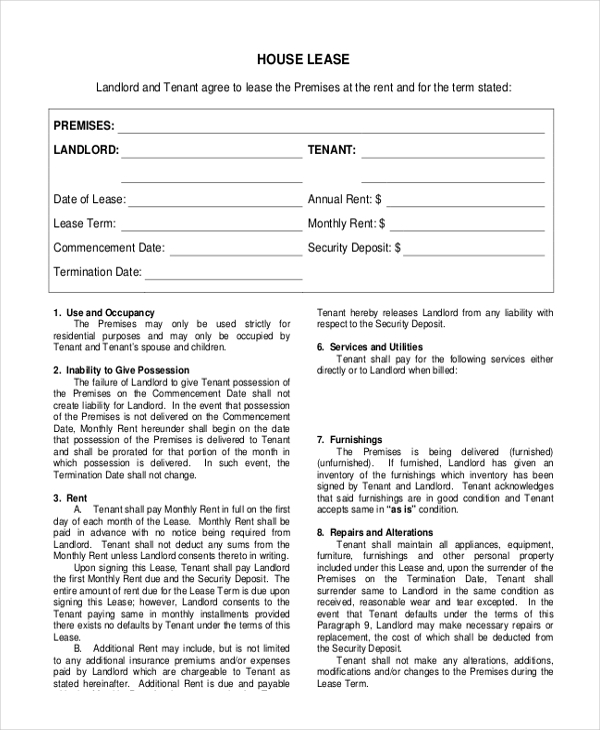 Landlords/Property Owners use a lease form to lease out their residential or commercial property to a party. Real Estate Agents may use a lease form to help the two parties involved in a leasing transaction to get into a lease agreement. Using a lease form can ensure that there is no mix-up or confusion as far as the terms of the lease are concerned. 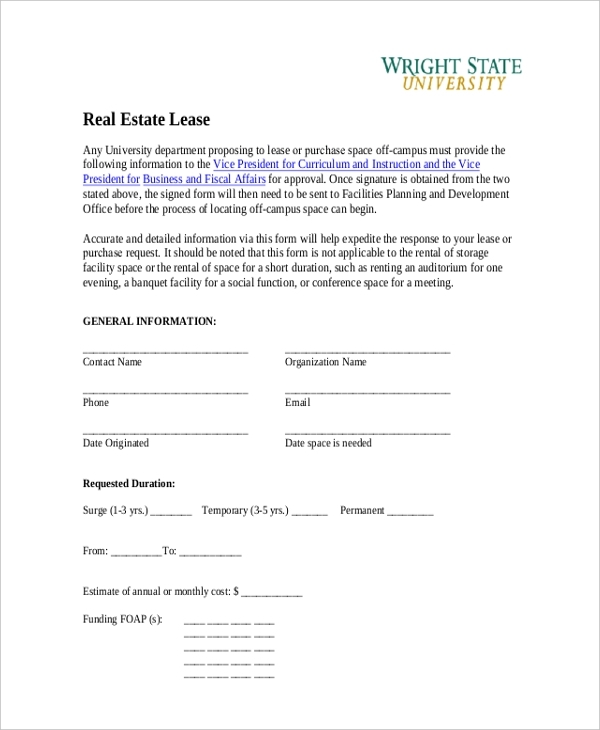 Need help to design a lease form? Check out our collection of lease forms to find the one that suits your needs. Make changes to the existing format such that it is perfect for your lease agreement.